Synopsis: Surgeon Bruno Hamel (Claude Legault) is living a seemingly idyllic life until his young daughter is raped and murdered. Obsessed with vengeance, Bruno concocts a plot to kidnap, torture and execute the man responsible for the crime. Once his plan comes to fruition, he'll turn himself in. 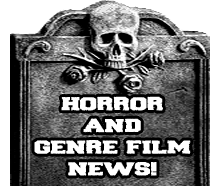 Review: This is the debut film for director Daniel Grou and he takes on the revenge horror genre. From the start of this film I was drawn in and what helped is that this film did not mess around with tons of boring filler scenes and stuff that was unnecessary. Within the first 30 minutes you are already into the beginning of the 7 days of hell for the man who killed Bruno's daughter and from then on it's a twisted descent into madness. The story follows in the traditional revenge film form, basically you got a guy who has a loved one that is killed then he snaps and takes justice into his own hands and for me that formula works perfectly no matter how many times you see it because it puts you in a situation that could easily happen to anybody. Now there is a difference between this film and others like it the main character here tortures the killer instead of just killing him which does give this film it's own uniqueness and keeps it fresh. When it comes to the cast they couldn't off selected a better cast to fill these roles and to top that the acting is top notch. I can say that this film knocked me flat on the ground when I got to the powerful climax of this film. 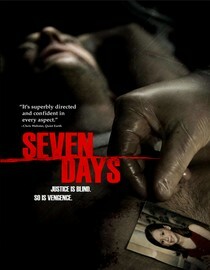 This is the best revenge film that I have seen since the original Death Wish hands down! Overall this is an excellent film that will please fans of horror films and thriller films alike!